If someone would have told me that the team behind Far Cry 3 planned to follow up their FPS with a 2d sidescroller tribute to JRPGs inspired by fairytales with asynchronous co-op, then I would have laughed until I ruptured a blood vessel. Well, Ubisoft went ahead and announced that eerily specific thing. 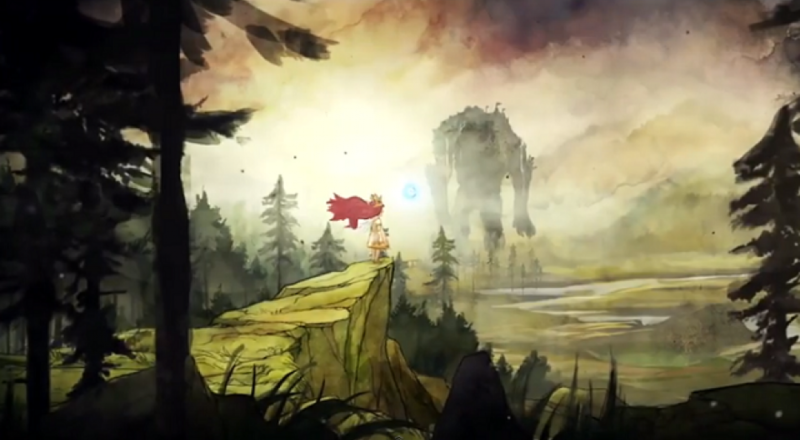 Child of Light soars to PS4, PS3, 360, XBox One, PC, and WiiU sometime in 2014. How did I not see this coming? Designed in the UbiArt Framework, which Rayman: Origins and Rayman: Legends also stemmed from, Child of Light stars the crowned fairy Aurora. Gameplay splits into exploration and combat. Exploration involves Aurora traversing the environment and collecting treasures, while combat plays much like a JRPG, with allies and enemies operating on an Active Time Battle system reminiscent of Grandia. Player two controls Igniculus, a friendly ball of light who assists both in battle and in exploration. While Aurora engages enemies directly, Igniculus may blind the baddies to slow their turns, interrupt their actions, or heal Aurora or her allies. During exploration, Igniculus can meld through walls to discover hidden treasures or secrets that Aurora would not be able to uncover on her own. Few elements of creative endeavor are capable of blending the whimsical and the sincere in a way that lends equal credit to both quite like a fairytale. The Far Cry 3 team aim seek to capture our hearts and minds with Child of Light. Perhaps it is the rhyming narration, or the decadent visuals, or the austere piano, or the perfect melding of each that brings such a haunting curiosity to this all too short teaser.